Are your calibrated tape measures accurate? The answer may not be so obvious. Tape measures may not be manufactured with accurate measurements or the tape measure may lose its accuracy from wear and tear of the rivets on the hook tab, causing the tab to become loose. The only way to know is to verify whether it is calibrated. This is easy to check if you have the right tool! You will need something that accurately measures distance and can be hooked by the end of a tape measure. We sell the Calibration Station as an easy tool to allow many different people to check their tape measures. 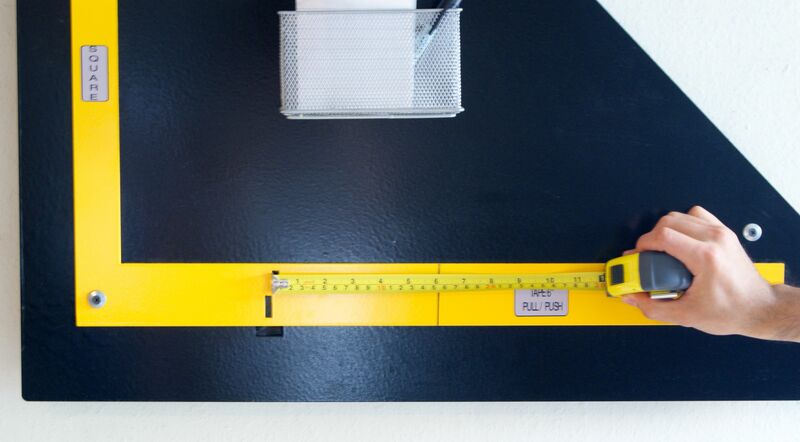 The Calibration Station provides two slots to hook a tape measure by pulling and pushing. The distance it measures is six inches. 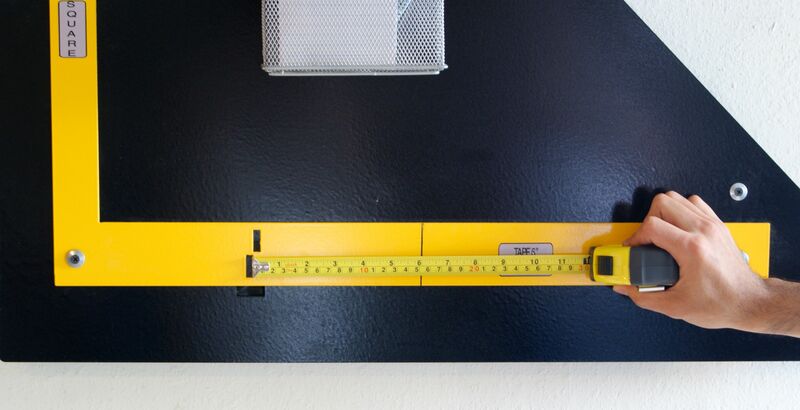 To see if your tape measure is calibrated all you need to do is a push and pull test. First, hook the end of your tape measure in the top slot and push the tape measure against the slot. Check to see if it lines up with the six inch mark. Second, hook the end of your tape measure in the bottom slot and pull the tape measure against the slot. Check to see if it lines up with the six inch mark. If the 6 inch mark of the tape measures lines up with the six inch line of the Calibration Station, the tape measure is verified to be calibrated. However, if the marks do not line up, then the tape measure is not giving accurate measurements. This can happen from the hook tab becoming bent or can be caused by a bump on the tab. It can be from loose rivets as well. If one measurement is accurate and the other is not, then there could be some adhesive on one side of the tab that may need to be removed. No matter what the problem is the Calibration Station lets you quickly confirm if the tape measure is accurate. For example, if you drop the tape measure you may not know if it is still accurate. Check it as demonstrated in the pictures. If it isn’t accurate, you can bend the hook back into the correct position. Some quality control departments may not have time to fix the tape measures. The easiest way to deal with it is to replace the tape measure with an accurate one. We sell calibrated tape measures in lots of 10 to make it easy to keep them on hand. It is important to know if your and your coworkers’ tape measure is accurate so you can complete the job and have consistent measurements. If you need solutions to ensure accuracy of your calibrated tape measures, make sure to check our store to see if we can meet your needs.